"How to say sorry to your partner?" The day most single people dread is just around the corner -- Valentine's Day. As with many other questions we have about life in general, we turn to Google for answers. 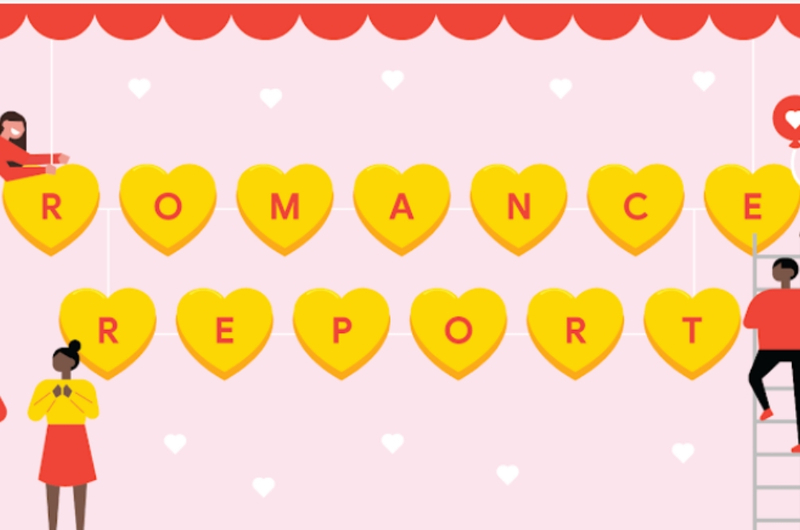 This year, the search engine revealed the 'Romance Report', in which we'll see some of the top questions about love in preparation for the special day. Warning: You might spot some questions that you have typed in that famous search bar yourself. So if you're too shy to find out, just look away. First things first, one of the most popular searches since 14 February last year is "What are the five love languages? ", based on Gary Chapman's book from 1995 titled 5 Love Languages. Now, if this is the first time you're hearing about the love languages, you need to start Googling right now because we don't want to get into the details here and turn this page into a relationship advice column. How to spend quality time with your partner? How to set boundaries with your significant other for quality time? How to have more quality time with your partner? What does spending quality time with your other significant mean? What to do when your partner is touch and you are quality time? Next, many people also wonder how to express their feelings because for those of you who have gone through that phase, you know how hard it can be. How to say sorry to your partner? How to say happy birthday to an ex? How to say happy birthday to a loved one? How to say something difficult to spouse? How to say love you to your partner? Besides that, there were also many questions about gifts for Valentine's Day because this is probably the one thing most couples would expect from their significant other, considering the fact that they're already celebrating D-day. Other than asking Google questions about L.O.V.E., you'd be surprised to know that some people attempt to be extra romantic by learning how to say "I love you" in another language. Or they could be in an interracial or intercultural relationship. Who knows? When in doubt, call the Love Doctor because Google is also helping you to play cupid with Google Assistant. For example, you can simply say, "Hey Google, serenade me", and you'll be playing a nice love song for your significant other (works for singles too). You can also tell Google Assistant, "Hey Google, Happy Valentine's Day" to learn how to say "I love you" in eight different languages, namely Korean, Mandarin, Hindi, French, Spanish, Danish, Gujarat, and Indonesian. So now you know that you're not the only one asking yourself every night about love. Datuk SM Faisal Nasimuddin Dan Puteri Aishah Hangat Bercinta?